City Hall is closed on Friday, June 1st but residents are still able to purchase their dog licenses online or Oakland County Pet Adoption. Use this link to purchase online or visit Pet Adoption at 1200 N Telegraph Road Building 42E, Pontiac, MI 48341. 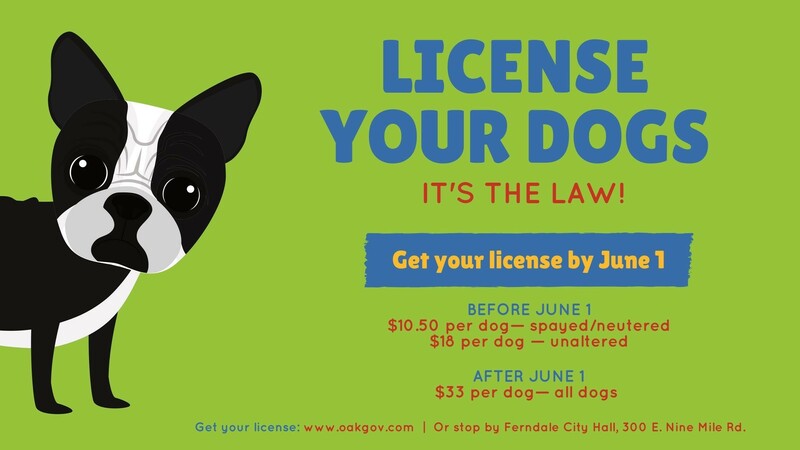 After June 1st all dog licenses are $33.